Looking for creative ways to add color to your home? Go a little off the wall by using innovative ideas to revive your home décor and splash some paint on other regions of your rooms to get colorful. Worried it won’t look quite right? Get a virtual view of your home with a new coat of paint by trying Sherwin-Williams’ cutting edge color selection tools. For a virtual glimpse of how your home will look after being painted, use the Color Visualizer. It’s simple: snap a quick pic, upload it into the Color Visualizer, and start to paint! Using a virtual paint palette, drag and drop paint colors into your image and refine your work with a selection of tools that fine-tune the look. Accents aren't just for walls anymore! Make your room pop by using a vibrant color overhead. This unique method will give your home some real pizzazz. 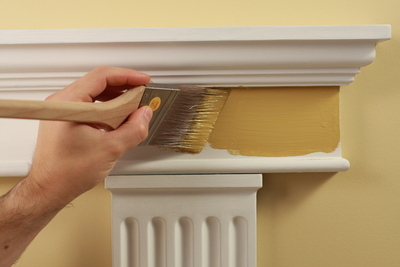 Instead of painting your trim the standard white, try a deep, saturated color that will really pop. For continuity and balance repeat this trim color throughout your home. 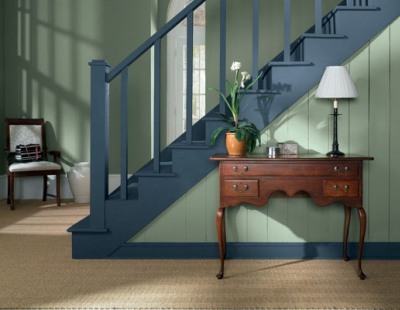 Hold onto a little color by painting the banisters in your for stairways that lead to vibrant décor. 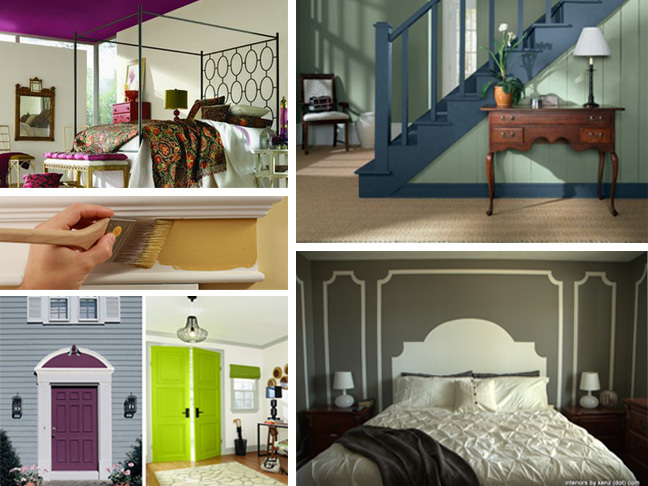 If you want your home to be really inviting, paint the door a warm color to make your guests feel welcome. 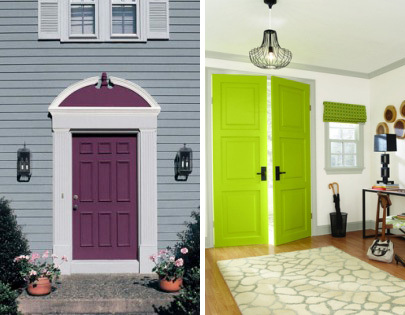 You can even paint the inside of doors for an extra splash of unexpected color. 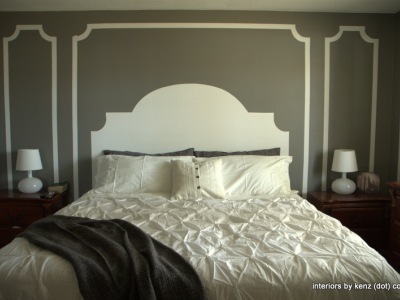 This cool painting trick makes an actual headboard obsolete and the effect is really beautiful.